Chase Farmer, a wide receiver and defensive back for West Washington, made big contributions on the the junior varsity team and was a contributor on varsity special teams. Head coach Phillip Bowsman said, “I fully anticipate Chase being a major contributor to our varsity football team next year and into the future. His willingness to work hard and learn is reflected in his attendance at the USA Football Camps and his selection to USA Select Team”. Caleb Murphy, an offensive and defensive lineman for West Washington, was a key reserve for the varsity team and was named the most valuable offensive player of the junior varsity team. 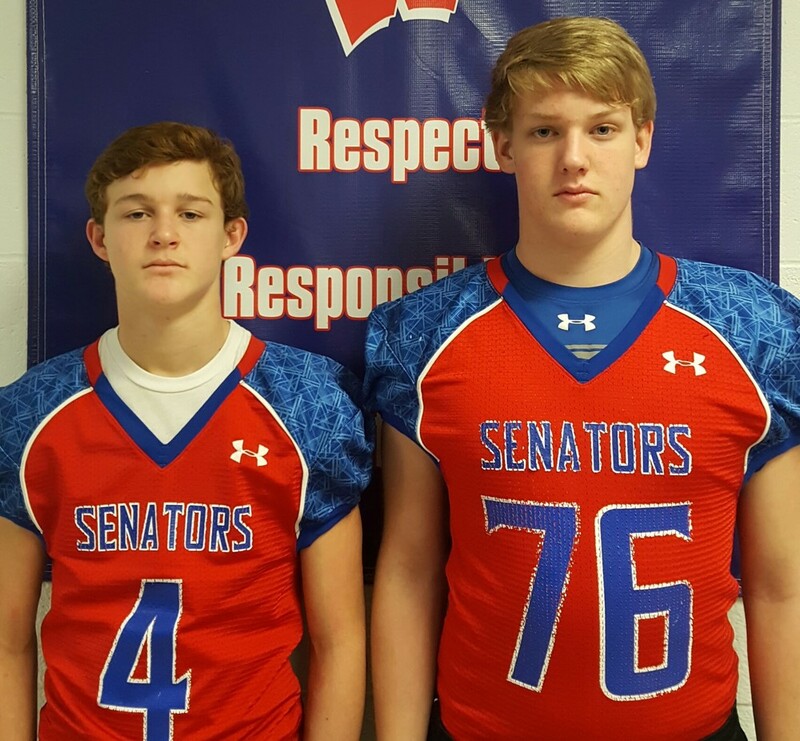 “We are extremely excited for Caleb to move into a varsity role on our offensive line. He is a smart kid, with a great frame and tremendous motor”, offensive line coach Duane Nance commented.